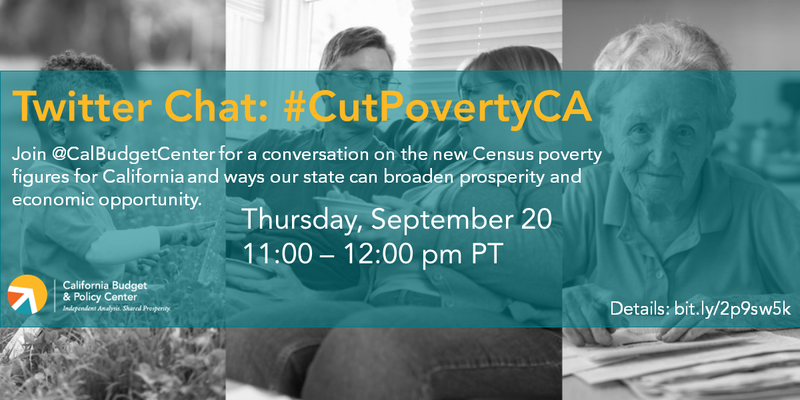 The Budget Center hosted a Twitter chat Thursday, September 20, 2018 to discuss the 2017 US Census poverty figures for California and what they mean for our state. The chat was an opportunity to share different perspectives on poverty and discuss ways that policymakers and other key players can help combat economic hardship and broaden prosperity in our state. 1. What stood out for you the most in the new Census figures for California? 2. What are some reasons why so many Californians struggle to get by? 3. How does poverty impact your community or the community you work with? 4. 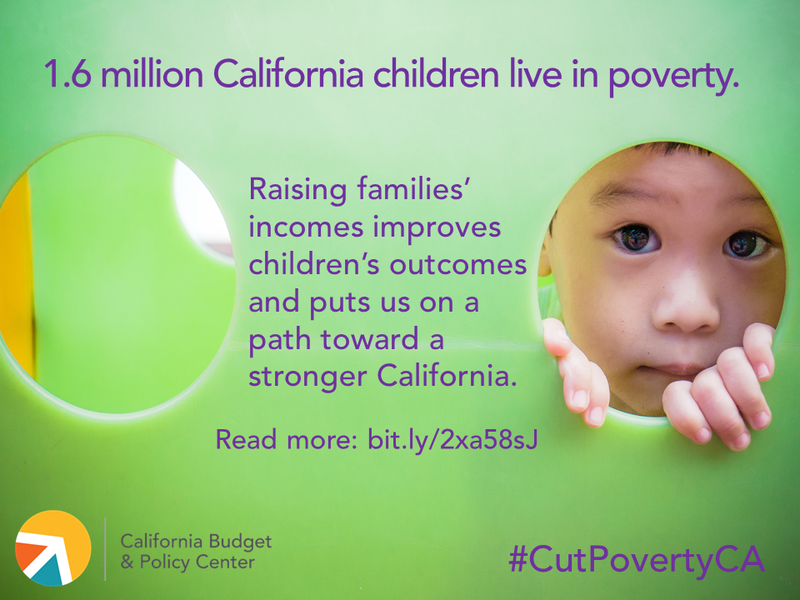 What are some important steps that California has already taken to reduce poverty and child poverty? 5. What are some ways we can go further in cutting poverty and broadening economic opportunity? 6. 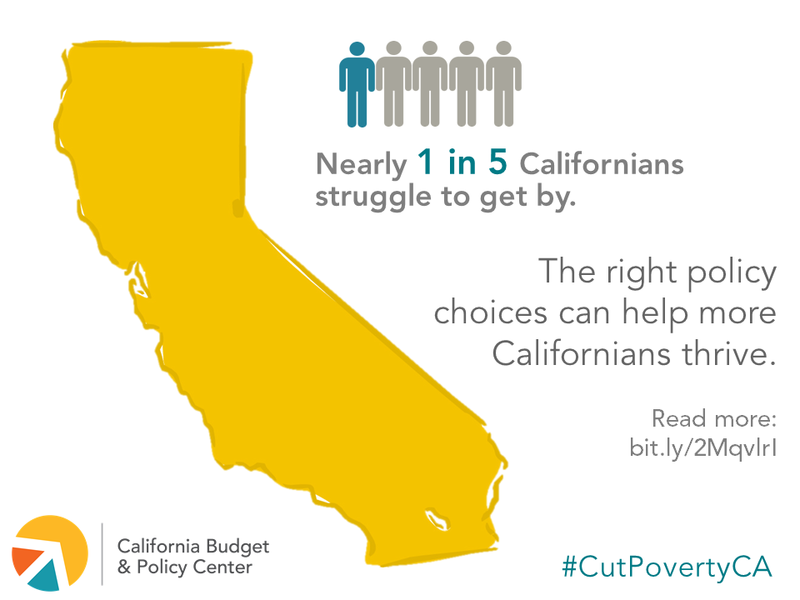 What are some ways that racial and gender disparities relate to poverty in California? 7. If you could get people to understand one thing about poverty, what would that be?